Ok, It’s September, so what. The leaves are still green, and the sun is still shining. And we’re celebrating what we have, so come and join us at the Old Nick Monday the 28th. 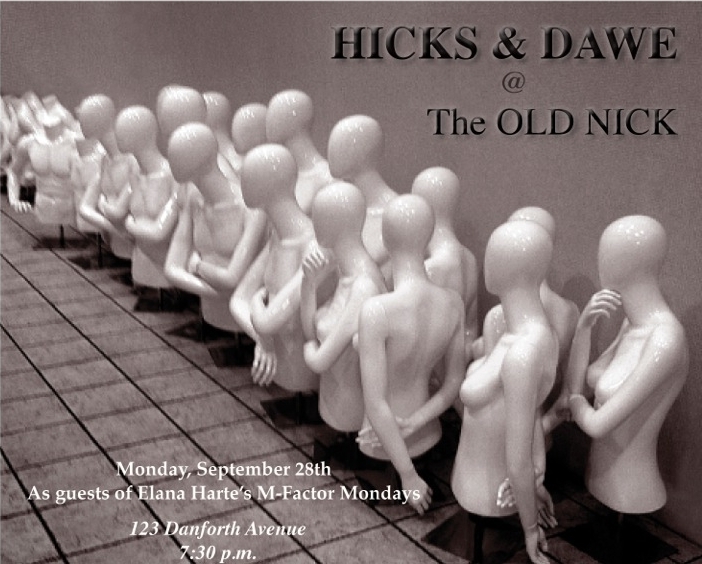 Elana Harte has kindly invited us back as part of her M Factor Mondays series, and we’ll be doing a set or two unlike any we’ve done before. Mostly our original work, with some new material, and some re-imagined older tunes. Doc on Guitar, Neil Kitagawa on sax and bass, and Loren on banjos.